Yes, business taxes are higher in Seattle — here’s by how much. And regulations add additional costs that pose a special challenge to low-margin businesses like fast-food and grocery stores. Use the tax comparison tool to see city-to-city differences. Like many other Seattle businesses, Taco Time has seen a marked increase in costs that cut into profits at its restaurants in the city over the last three years. 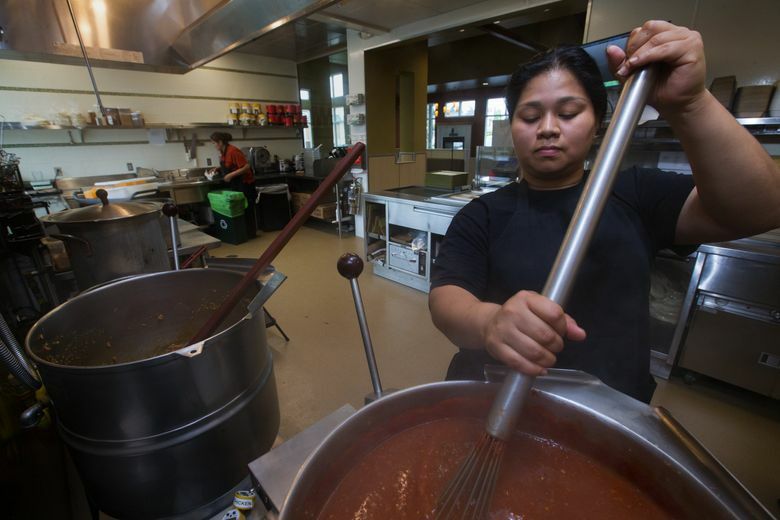 Thanks to an accumulation of new and increased taxes, a rising minimum wage and the tightest job market in 40 years, the company says its costs for food, labor and taxes are 11 percent higher at its six Seattle restaurants than at most of its other locations around the state. The Seattle sweetened-beverage tax alone, part of its food expenses, averages nearly $1,500 a month at each of the fourth-generation, family-owned chain’s locations in the city. “It has been a shock to the system,” said Chris Tonkin, who leads the business with his cousin, Robby. Seattle’s briefly approved head tax on large employers, though rescinded, confirmed their decision to expand in Whatcom County rather than in the city. Seattle businesses, particularly in food service and groceries, reacted to that short-lived measure with sometimes-hyperbolic rhetoric about tax and regulatory costs in the city — an issue expected to motivate business-backed candidates as City Council election campaigns ramp up in 2019. What’s the reality? The Seattle Times built a tax comparison tool to examine the city-to-city differences across some of the business taxes and fees imposed by Washington cities. It shows Seattle’s taxes are indeed the highest, driven mostly by the city’s business and occupation (B&O) tax rates, which increased 3.2 percent after the City Council approved then-Mayor Ed Murray’s 2016 plan to increase Police Department funding. That plan also significantly increased business-license fees. The local tax bill is only one part of the picture, particularly for restaurants and grocery stores. These retailers often have large, low-wage workforces, fixed locations and competitors in adjacent jurisdictions. Owners of some of these businesses say the accumulation of new costs in Seattle and the speed with which they’ve been piling up is threatening their profitability and complicating operations. Others, however, see the city’s business landscape as a proving ground that prepares them for successful expansion elsewhere, particularly as more cities and states increase minimum wages. Worker advocates, meanwhile, cheer city policies that have raised pay for thousands of people and provided more predictable schedules. “From a worker’s perspective, it has meant a shot at keeping up with the rising rent and the rising cost of living in Seattle overall,” said Sage Wilson with Working Washington, which has been instrumental in organizing low-wage workers and pushing for the policies. The tight job market is also increasing labor costs outside of the city as employers compete to attract workers who can earn a higher minimum wage in Seattle. Taco Time’s labor costs in Bellevue, for example, are slightly higher than in Seattle. “The higher wages are spreading because there’s a market for workers, too,” Wilson said. In 2015, Seattle enacted a minimum-wage ordinance moving all workers toward a $15-an-hour base, which will be reached Jan. 1. People at companies with 501 or more employees must be paid at least $16 an hour beginning in the new year. Seattle’s 2017 secure-scheduling regulation kept the city in the forefront of a movement in cities across the country to improve conditions for low-wage workers. Some businesses say compliance has made staffing more complex and costly. This year saw the implementation of the soda tax, positioned as a public-health measure to discourage consumption of sugary drinks with a link to type 2 diabetes and obesity. It had raised nearly $17 million through the first nine months of the year. Voters in November approved a soda industry-backed initiative campaign to stop other cities from following suit. Against this backdrop, the grocery industry was a prominent and effective opponent of the proposed head tax, which would have funded affordable housing and homelessness services. While Amazon was the putative target of the $275-per-employee tax and threatened to halt its growth here if it were implemented, grocery executives such as Uwajimaya’s Denise Moriguchi spoke out at public hearings to emphasize that it would have hit grocers, too. In addition, the grocery industry’s trade group was the top funder of the No Tax on Jobs campaign, which mounted a successful initiative drive that persuaded seven of the nine council members who passed the tax in May to reverse themselves less than a month later. 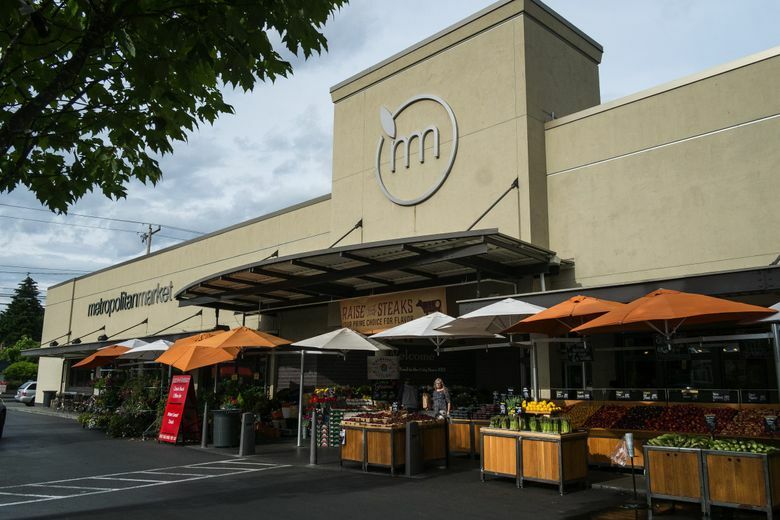 Metropolitan Market Chairman Terry Halverson, who started out in 1966 as a teenage courtesy clerk at the Queen Anne store, said Seattle has continued to impose new costs on businesses without contemplating their cumulative impact. “It’s a high-volume, very-low-profit business that’s extremely competitive, so it doesn’t take a lot of new taxes or cost to tip the scale a bit, and put a burden on a supermarket that’s in the city,” Halverson said. “I think the city’s not paying attention to that,” he added. Metropolitan Market has seven stores, including four in Seattle. Halverson noted that shoppers can easily cross the city limits to shop at competitors with lower cost structures. That said, wages and benefits across the state are starting to catch up with what’s required in Seattle. Washington’s statewide minimum wage increases to $12 an hour in 2019 and $13.50 in 2020. Statewide paid sick leave rules effective this year are more generous than what was first passed in Seattle in 2012. A new paid family and medical leave benefit, starting in 2020, applies to nearly all Washington workers. And the worker advocates behind Seattle’s secure-scheduling ordinance intend to push for a similar policy next year in the Washington Legislature. On the May day the head tax was passed, Boise-based Albertsons Companies, the grocery giant that owns its namesake brand and the Safeway chain, announced the closure of two North Seattle stores. Osborne said the company expects its urban locations to have higher costs and lower profitability than other locations in general. But the new taxes and regulations in Seattle contributed to a more than 10 percent increase in operating expenses. A study published in 2017 by University of Washington researchers concluded Seattle grocery stores had not increased prices any faster than those outside the city after the minimum-wage law kicked in — though its full effect hadn’t been felt at the time of the study — suggesting increased costs were squeezing profits on city grocers. But as some grocers have moved out, others have moved in, pointing to the continued desirability of Seattle’s increasingly affluent population as a customer base, despite rising operating costs. New Seasons Market opened a store in Ballard in May and has another planned on Capitol Hill next year. Amazon-owned Whole Foods opened a location on First Hill in late October. Taco Time has not contemplated closing any Seattle locations, but the rising costs have the Tonkins looking beyond the city for expansion opportunities. Frank Tonkin Sr., great grandfather to Chris and Robby, opened the family’s first Taco Time in White Center in 1962, expanding over the next five decades across Western Washington. As the Tonkins evaluate the market today, they recognize they have some advantages that other smaller or newer businesses may not. The company, known as Taco Time Northwest to distinguish it from a separate Taco Time chain operating in Oregon and elsewhere, owns the real estate under many of its restaurants. 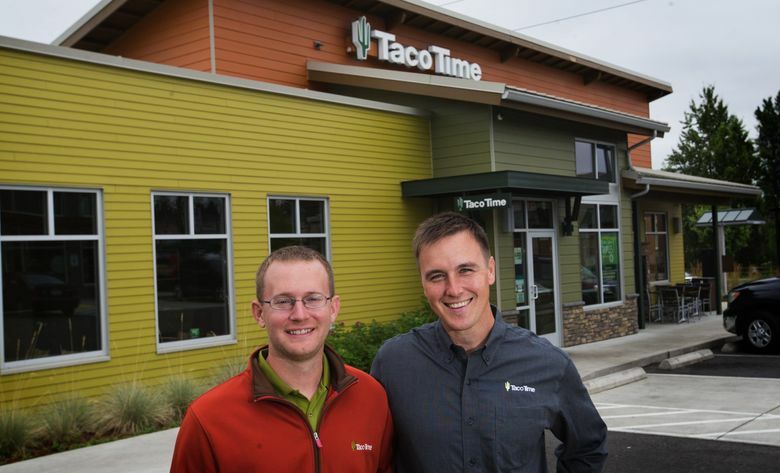 And most of its establishments are outside of Seattle city limits — Taco Time owns 57 locations around the state and is the franchiser to third-party owners of 23 more — providing a buffer for the company as a whole as costs in Seattle increase. Taco Time’s co-presidents said they value their employees and offer competitive pay and benefits — indeed, they have to in order to attract and retain people in a tight labor market — including medical and dental insurance for people who work at least 30 hours a week, 401(k) plans, food discounts and more. But it still isn’t necessarily enough to attract as many employees as the company needs. Earlier this year, as an enticement to join the company, Taco Time offered new hires who stay at least six months a chance to win a car. “If you want to hire somebody in Seattle today, you’ve got to pay a premium wage,” said Jacob Vigdor, a UW public-policy professor who is leading a team studying Seattle’s minimum-wage increases. His team’s latest research suggests that the minimum-wage increase has led to rising wages for people who worked more hours, but little to no benefit for workers with lighter work schedules. University of California, Berkeley researchers, focused just on the food-services industry in six cities including Seattle that have boosted wage floors, found increases in pay and no widespread job losses. “We just can’t react quickly enough and raise prices fast enough to really make up,” he said. 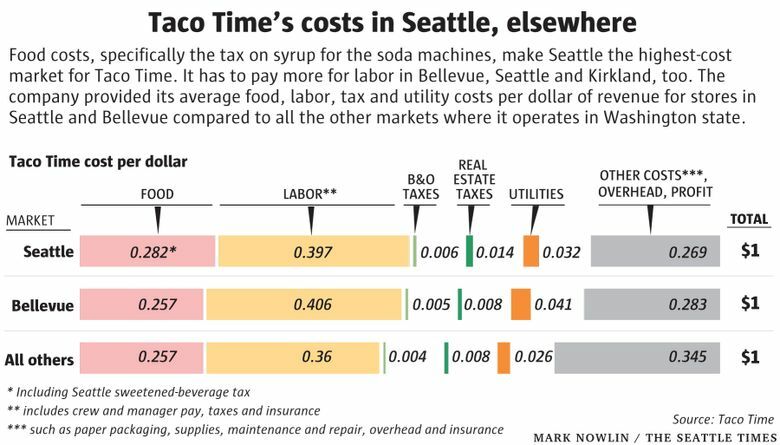 In its Seattle stores, Taco Time’s costs for food and labor total about 67.9 cents per dollar of revenue, compared with about 61.7 cents per dollar of revenue in its stores in other markets (excluding Bellevue and Kirkland, where labor costs are comparable to those in Seattle). Its B&O and property taxes in Seattle amount to 2 cents per dollar of revenue, compared with 1.2 cents per dollar in markets outside Seattle, again excluding Bellevue and Kirkland. With its Seattle stores making smaller profits than they used to, Taco Time is channeling its investments elsewhere, opening two new restaurants in Whatcom County last summer. “To make a long-term investment where you don’t know what next year’s going to bring on some of your key costs of goods — your food and your labor — it’s tough,” Chris Tonkin said. Of course, for businesses that have started in the city more recently, the high-cost environment can be an advantage of sorts. Scott and Ally Svenson started MOD Pizza in Seattle a decade ago. The fast-growing company — which has more than 400 company-owned outlets, five of which are in the city — boasts of its above-market wages, benefits and emphasis on hiring people who have barriers to employment, such as disabilities or criminal backgrounds. MOD Pizza’s Seattle stores have above-average revenue compared to its locations elsewhere, in part because of decadelong local roots, he said. But its profit here is similar to what it makes elsewhere. For smaller operators or those that rely on lowest-cost labor, it may be a different story. As MOD has expanded around the country, Svenson has traveled extensively. “Seattle is being viewed as very much in the vanguard of these movements” for improved working conditions and pay, he said. Some 19 states and 21 cities are increasing minimum wages in 2019, and worker advocates are preparing to push for an increase in the federal minimum wage, unchanged in a decade. Financial analysts at investment firm Robert W. Baird & Co. predict nontipped workers would see a wage increase, on average, of about 3.4 percent in 2019 compared to 2.5 percent in 2018. While Seattle’s leadership is seen as a positive in some quarters, in others, such as the restaurant-industry circles Svenson frequents, it’s a deterrent. “For the average restaurant brand, they’re going to shy away from taking on operating in those more challenging environments,” he said. Viewed another way, however, the crucible of Seattle’s regulatory and labor-market environment has been an asset for MOD as it expands at a torrid pace. This story was updated to say the statewide minimum wage in 2020 will be $13.50, not $13 an hour.